Helping the World Go Green! Penn Herb Company, Ltd. has been a Philadelphia landmark since 1924. Privately owned and operated by the Betz family since 1962, Penn Herb Company’s store at 2nd and Spring Garden Streets is well known as the place to go for herbs, spices and natural remedies. By reaching for natural remedies from the earth, we reconnect with our natural environment and with the traditional medicines of our ancestors. Penn Herb Company and the Betz family firmly believe in taking care of the earth from which these remedies are taken and preserving our natural resources. 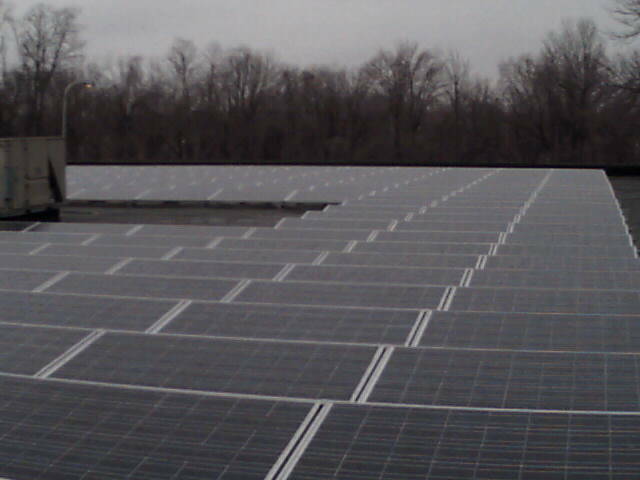 Several “green” initiatives have been completed at the company headquarters in Northeast Philadelphia. As an initial project, all fluorescent office lighting throughout the entire building was converted to energy saving electronic ballasts, which will result in an estimated energy savings of 97,546 kWh (kilowatt hours) per year. What are some of the benefits of solar technology? Solar technology can reduce electricity costs at peak times such as hot days in summer when electricity prices and demand are highest, and can reduce the amount of combustion emissions that contribute to air pollution and global warming. Penn Herb Company's 120 kW solar system results in the reduction of annual emissions by 262,800 lbs for CO2, 1632 lbs for SO2 and 408 lbs for NOx. 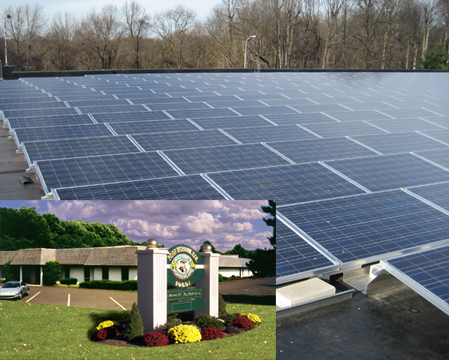 Penn Herb Company's 120 kW solar system is producing about 140,210 kWh of electricity each year, which is about of yearly electricity consumption for 12 typical Pennsylvania homes. Given the average cost of electricity in Pennsylvania, the energy cost savings is about $23,555 per year. What are our renewable energy options? There are alternatives to burning fossil fuels for Earth's energy needs. 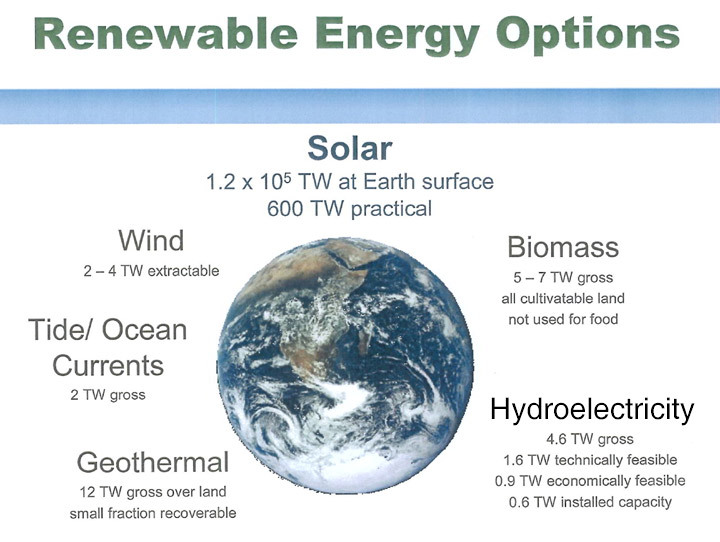 Wind energy, biomass, tidal, geothermal and hydroelectricity are all viable options. 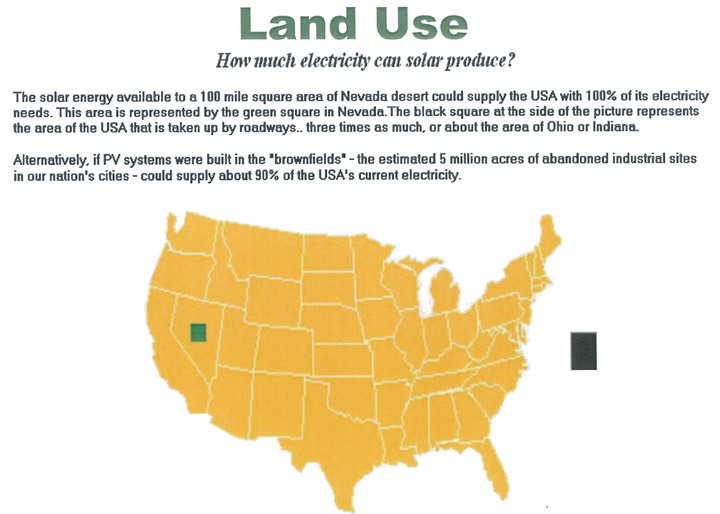 Notice on the chart below the potential for solar energy compared to the other options. The amount of energy available from the sun far exceeds the potential of all other renewable energy options combined.